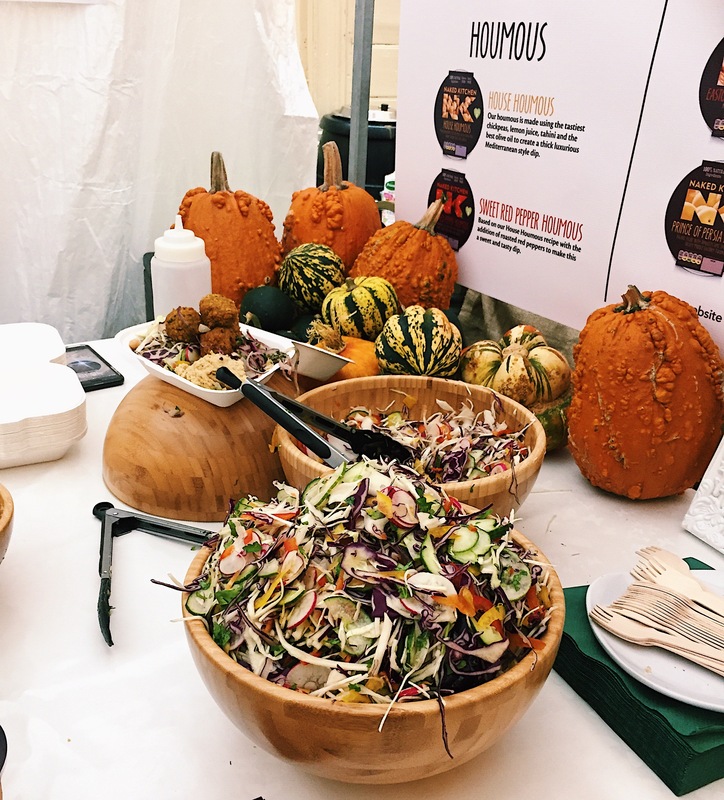 So this is a new thing for the blog, I’ve never written about food or an event before but I was lucky enough to attend Bristols first “Free From” food festival as press yesterday and wanted to share my experience on here! I’ve recently adjusted my diet to gluten and dairy free as advised by a nutritionist, also swapping coffee for green tea and fizzy drinks for… well, water. 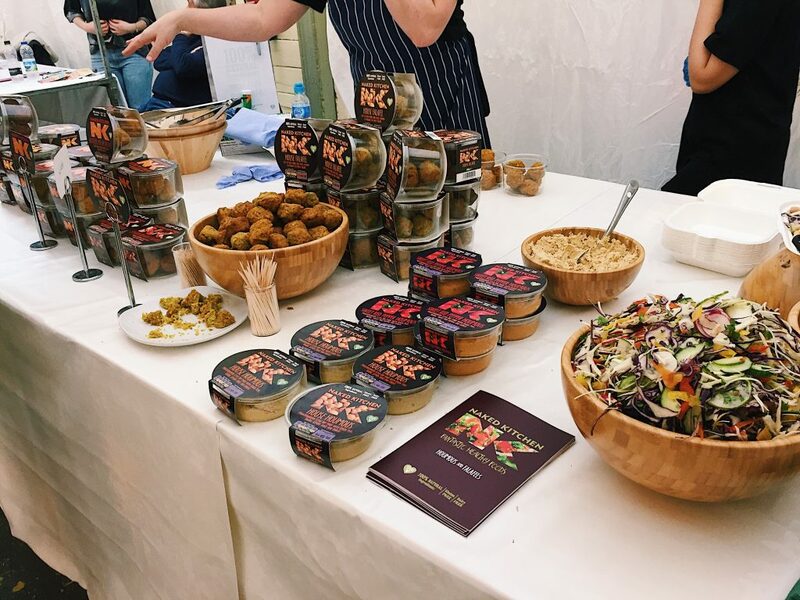 I thought this festival would be the perfect opportunity to indulge myself in all things healthy, get some great ideas for recipes and find some brands that cater to this kind of diet and lifestyle. 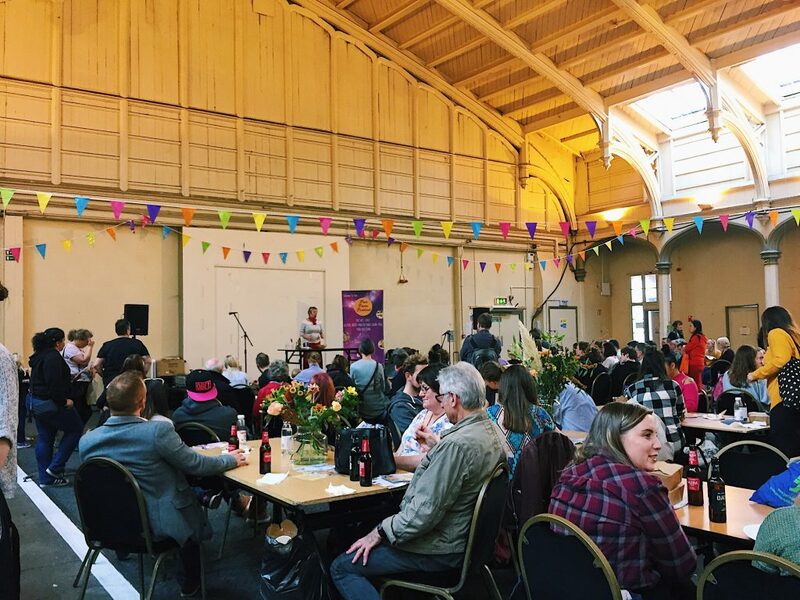 The event was held at The Passengers Shed next to Temple Meads Station and was open from 10:30am – 6:30pm but we decided to head down for around 1:30pm. I couldn’t believe how busy it was! The queue was coming out of the door and round the corner although it did move swiftly. I found the opportunity to attend this event on a Bristol bloggers page I’m a part of so managed to get in for free with a press pass and a +1 so I took my mum with me but the entrance tickets were £10 each for general admission with a drink. We both got fabulous complimentary goodie bags with our press passes too which I will go into more detail about. On entry we got a free refreshment of either some tangerine and mango flavoured “Nuva” water or a gluten free beer called “Daura”, I opted for the water and mum for the beer, both of which were super tasty. 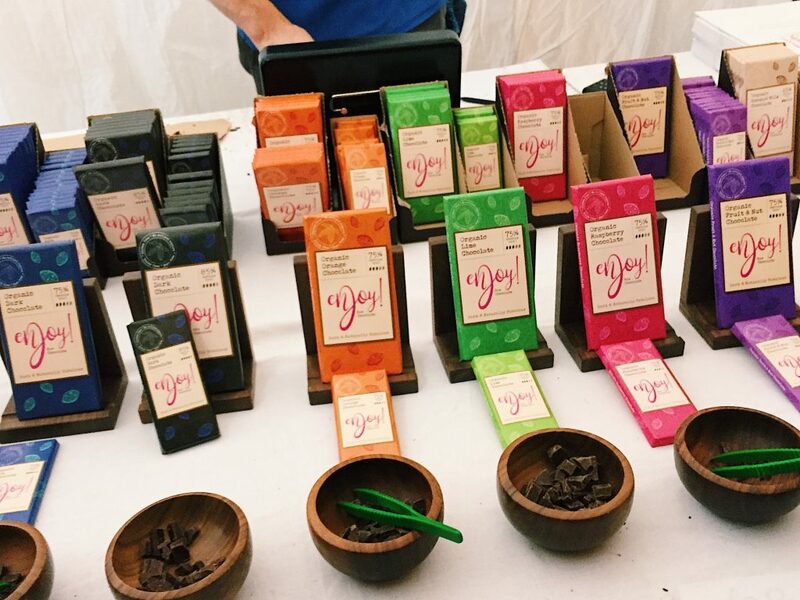 We then headed into the heaving rows of stalls and found all sorts of tasty treats to try. 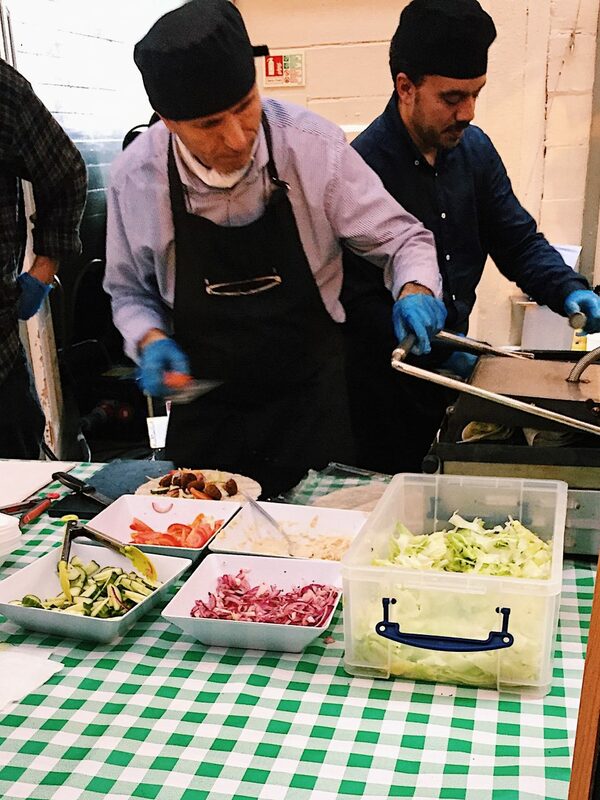 I can honestly say I had the best falafel I’ve ever tasted from these two different stalls, I can’t say which I prefer as they were both amazing! We came away buying 3 items from “Naked Kitchen” and then 2 items to take home and 2 scrumptious wraps for lunch from “Sharaf Natural Food”. They did have the odd couple of vegan and cruelty-free beauty stalls too but they seemed to be mostly pretty quiet from what we could see which is unfortunate as they seemed to have some lovely products on offer but as it was marketed as a food festival I think most people came solely for that reason. 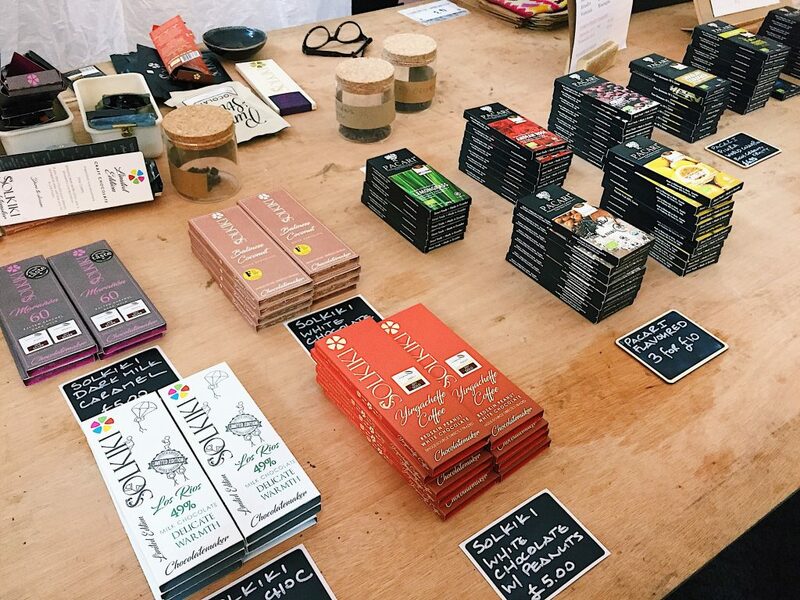 There were also many scrumptious sweet-thing stalls filled with vegan and gluten free cakes, chocolate, tarts, ice cream and much more which we also may have taken advantage of… We came away with some beautiful organic raspberry, orange and salted caramel dark chocolate. 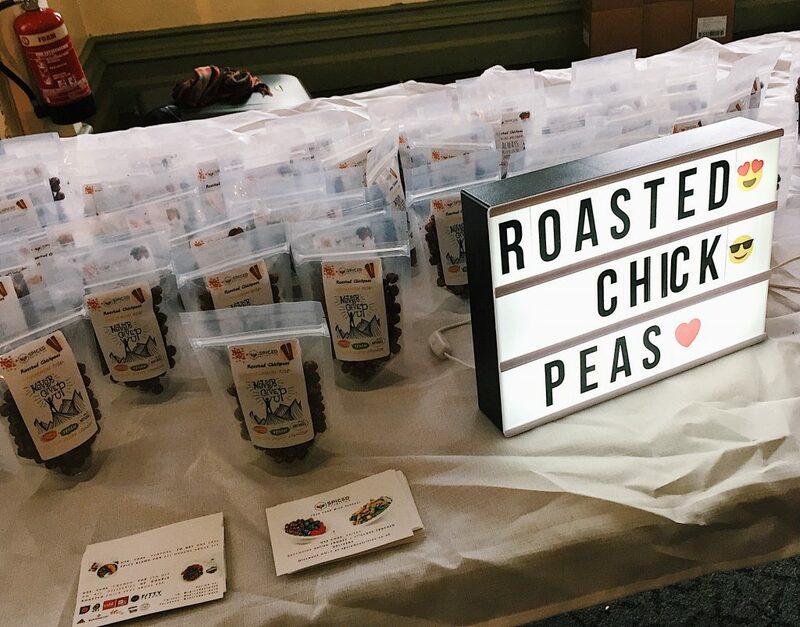 We sampled roasted chickpeas, pesto pasta, lemon biscottis, organic ketchup, banana cake, nut butters and all sorts more that I’ll never be able to remember. 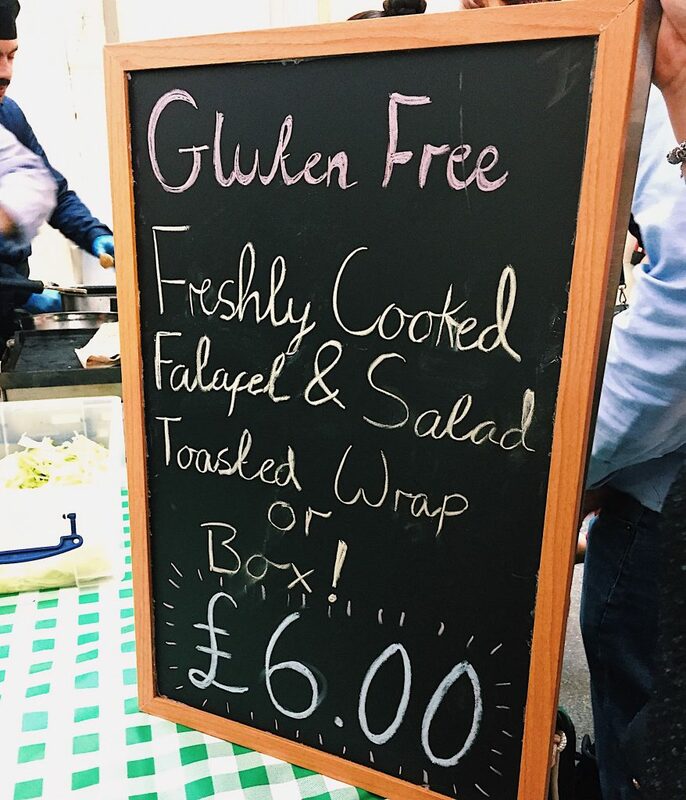 There were also talks going on throughout the whole day about staying healthy, keeping food diaries, vegan energy boosters, allergens, making your own gluten free food and much more including some wonderful live music too. We caught a bit of “how to make gluten free bread” by Deborah Thackeray but were too engrossed and excited in all the food to stay for the entire talk. Daura beer, Hippeas sweet & smokin’ chickpea puffs, The Protein Ball Co. lemon and pistachio protein balls, Sweet Freedom choc pot chocolate spread, Emily Fruit Crisps banana crisps, Spiced Nutrition herb and spice blend, Lifebox moroccan mint green tea and lots of vouchers for some fabulous free from brands to try in the future. 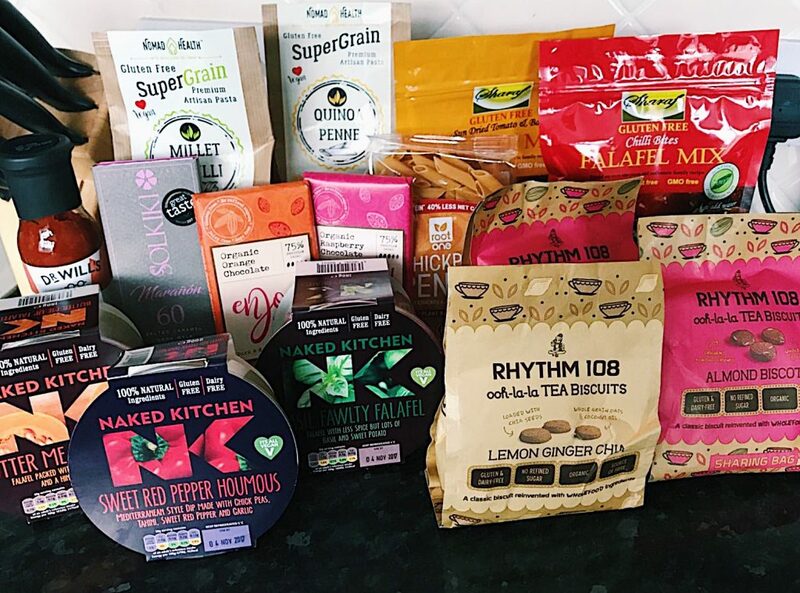 These are all the goodies we ended up buying and I’m so unbelievably excited to get stuck in and start cooking some insanely tasty and healthy food! A whole lot of falafel, red pepper hummus, chocolate, biscuits, quinoa and chickpea pastas and bbq sauce. Have you ever attended a free from event or would you want to in the future? "Samples of the Month: October – Lush Edition!" "Pretty Suds Skull Haul: Halloween Special!" I remember seeing The Naked Kitchen on your Instagram Stories yesterday and thought it looked super exciting, some really delicious flavours! ? The chocolate sounds delicious too, I love absolutely anything salter caramel! I’m glad you had such a fun time, and I hope you enjoy all the goodies you can away with.. ? This sounds amazing! I’m not vegan or vegetarian but I think I would still go along to this because there’s still some really nice food. 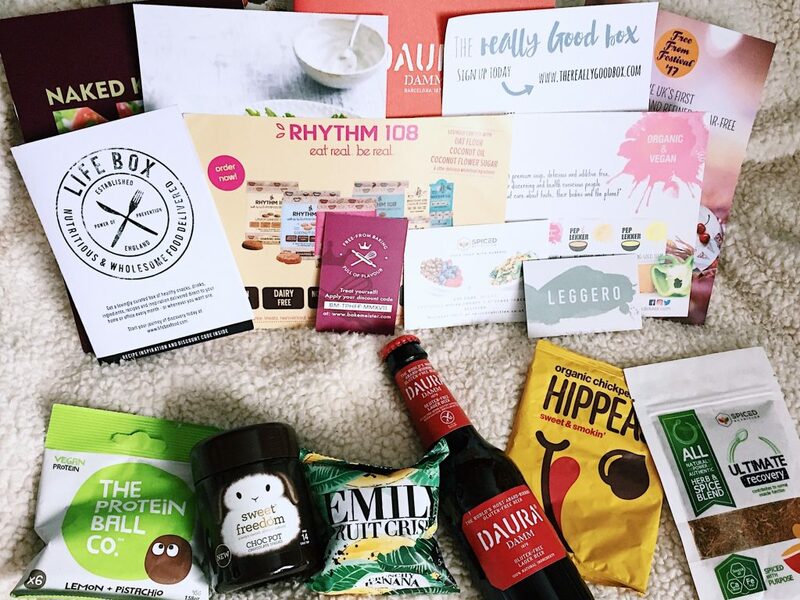 Sounds like you had a great time and your goodie bag sounds amazing, some lovely things in there. I think I might have to see if there’s anything like this happening around me! Food festivals are always fun. This sounds so awesome! So cool you got to try it out- I’d love to go to a festival like this! This is great! Also what a change to have to mo ve to gluten free. I believe there’s much need of product free of gluten, at least here where I live dairy free is easier than gluten free! ? Wow this event looked great! I love anything to do with food and would love to go to an event like this! Glad you had a great time! That looks like a really fun event! And all of those goodies look amazing! Oh my gosh this looks gorgeous ! It’s just before dinner right now and you’ve made me so hungry ! You’re making me so hungry! Everything looks absolutely amazing. My mum can’t eat gluten so she would have amazing time there! 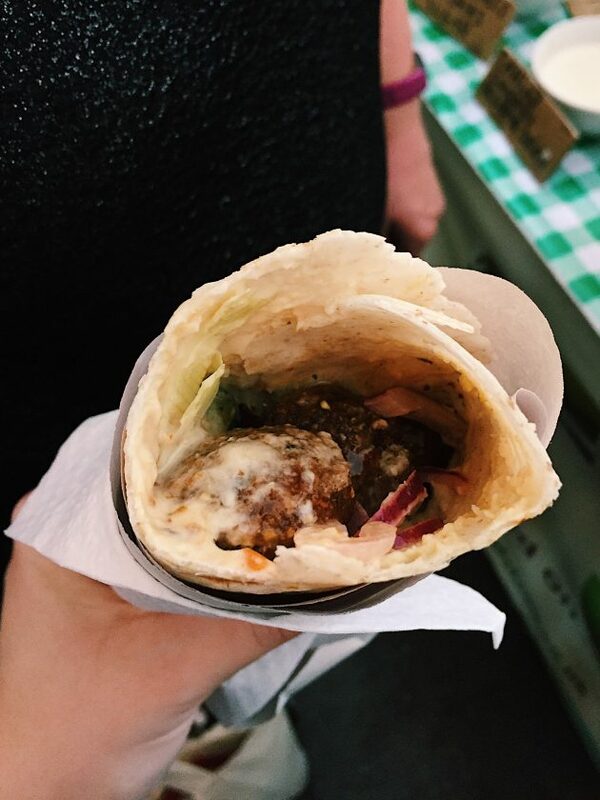 Now, I’m off to eat something because, man, did that falafel look good. It’s tricky finding gluten free but after a few weeks you can certainly get used to such a life style.